Impressive Queensland colt Sesar joined an elite list of subsequent sires to win the G2 Roman Consul Stakes at Randwick at his first Sydney start. 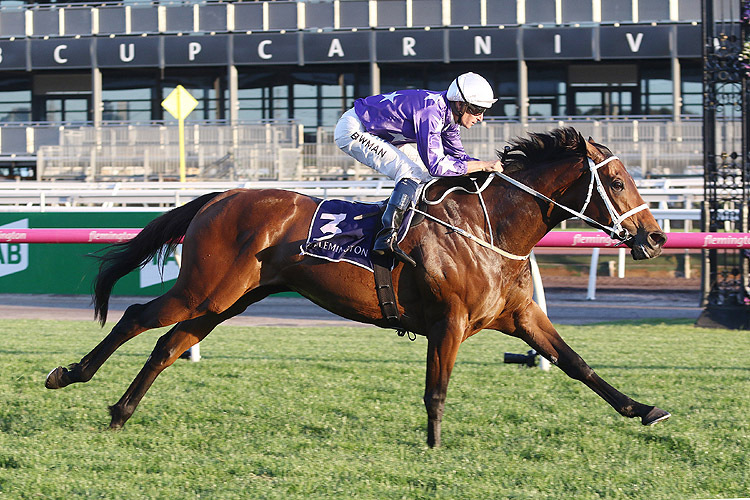 Sesar, Invincibella, I Am Excited, I Am Serious and Eckstein were among the notable Group and Listed winners in Sydney and Melbourne on October 6. 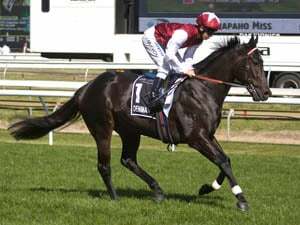 The Roman Consul has been a source of noted stallions in recent times, previous winners include the likes of Fastnet Rock, Exceed And Excel, Foxwedge, Zoustar, Brazen Beau and Russian Revolution. Sesar was a $160,000 Australian Easter Yearling Sale buy for his Brisbane trainer Steve O’Dea and Proven Thoroughbreds from the Southern Cross Breeders draft. He capped a great day for O’Dea and Sesar’s dam Sarthemare, a Black Opal Stakes winner by Street Cry who produced two winners on the Randwick program. Sesar’s half brother Doubt Defying had earlier given O’Dea his first Sydney winner. * Coolmore Stud’s long serving sire Choisir was responsible for his 92nd stakes winner on Saturday when the classy mare I Am Serious won the G3 Angst Stakes at Randwick. I Am Serious (Choisir x But I'm Serious by Bianconi) was a bargain $30,000 Easter yearling where she was offered by Holbrook Thoroughbreds. She was one of two winners for the Chris Waller stable at Randwick to go with a Group double for the stable at Flemington by Invincibella and Winx. Choisir also featured as the broodmare sire of Eckstein, the Kurt Goldman-trained mare from Goulburn in NSW who won the Listed Paris Lane Stakes at Flemington on Saturday. Eckstein I( Am Invincible x Comrie by Choisir) had not been successful since her victory in the G3 Glenlogan Park Stakes in 2017 and will now be set for the G1 Myer Classic at Flemington on November 3, a race she finished second in last year. Also a placegetter in the Magic Millions 3YO Guineas, Eckstein was a $165,000 buy from the Vinery Stud draft at the 2015 Gold Coast Yearling Sale after first going through the ring for $50,000 when secured by KP Thoroughbreds from Redbank North at the 2014 Australian Broodmare and Weanling Sale. With six wins and four placings Eckstein has won her connections over $940,000. Eckstein was among five black type wins by Magic Millions graduates on the Flemington program. 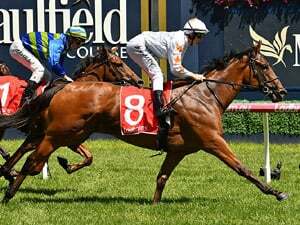 I Am Invincible sired a black type double on the Flemington program when his high class 5YO mare Invincibella (I Am Invincible x Abscond by Galileo) bounced back from her luckless run in the G2 Golden Pendant at Rosehill to win the G2 Blazer Stakes. The five-year-old mare is now a triple G2 winner in Brisbane, Sydney and Melbourne, earning her connections $1,389,678 during her 30 start career. Invincibella races for Star Thoroughbreds, having been purchased by syndicator Denise Martin for $185,000 at the 2016 Gold Coast Yearling Sale from the draft of Sledmere Stud. Her dam Abscond also left the stakes performer Secret Blaze (Sizzling). Abscond is an unraced half-sister to the black type placegetter Light Up Manhattan (Manhattan Rain) from the family of the G1 Adelaide Cup winner The Hind (McGinty). * Sydney trainer David Pfeiffer has lofty aspirations for I Am Excited after his Snitzel mare won the G2 Gilgai Stakes at Flemington. Pfieffer said the 4YO I Am Excited (Snitzel x Lady Beckworth by General Nediym) could now head to the G1 Darley Classic at Flemington on November 3 after she runs next in the G3 Begonia Belle Stakes. Her dam Lady Beckworth also produced the G3 winner Flippant (Hinchinbrook). The family includes four-time G1 winner Atlantic Jewel (Fastnet Rock) and her G1 winning half-sister Commanding Jewel (Commands). Lady Beckworth has a 2YO colt by Hinchinbrook and a colt foal by I Am Invincible. Sebring sired his 49th stakes winner when the Darren Weir-trained filly Amphitrite won the G2 Edward Manifold Stakes at Flemington, leading home a clean sweep of the placings by her champion trainer. Amphitrite (Sebring x Ocean Dream by Redoute’s Choice) beat stablemates Krone (Eurozone) and Verry Elleegant (Zed) in the noted fillies feature. The untapped filly was a $50,000 Adelaide Magic Millions buy for Flying Start Syndications and Darren Weir Racing from Goldin Farms. Amphitrite is one of three winners from the Melbourne winner Ocean Dream, a half sister to G1 winner Marble Halls. The Darren Weir-trained Domesday colt Extra Brut broke through at stakes level to win the Listed UCI Stakes at Flemington, providing his Queensland-based sire with his 18th stakes winner. Extra Brut cost $52,000 at the Great Southern Sale as a weanling before he was sold to Spicer Thoroughbreds for $100,000 at the Sydney Classic Sale..
Weir has earmarked the G3 Caulfield Classic on October 20 as the likely option for Extra Brut (Domesday x Dom Perion by Redoute's Choice) before the G1 Victoria Derby. 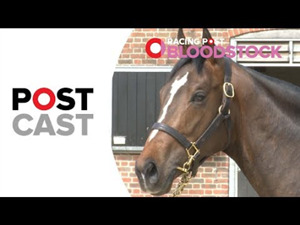 In Perth the unbeaten mare Enticing Star became the 64th stakes winner for her sire Testa Rossa when she won the Listed Birthday Stakes at Belmont Park to extend her perfect record to eight wins. Trained by Adam Durrant for her breeder Bob Peters, the 5YO Enticing Star (Testa Rossa x Favourite Star by More Than Ready) will be set for the G1 Winterbottom Stakes at Ascot on December 1. Race Synopsis: Queensland-trained colt Sesar staged a very good effort in taking out this Group 2 event. Having his first start since a late-closing fourth in the JJ Atkins Stakes (Gr 1, 1600m) at Doomben in June, he again settled at the tail of the field, in fact being ridden hard to keep in touch with the fast early pace. He improved along the rails nearing the home turn, continued along the inner to challenge at the 200m and then finished too well to score impressively. Sandbar settled in third place on the rails, took an inside run to hit the front on straightening and kept fighting back gamely for second. Spin settled in sixth place, moved up (deep) from the 600m, challenged at the 200m and then battled on well for a good third. 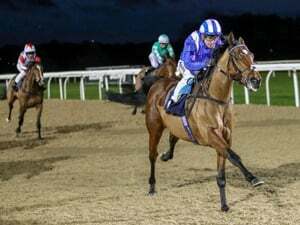 Jonker settled in third place, going a bit keenly, improved on turning for home and then kept battling on over the closing stages for (6.2 lengths) fourth.